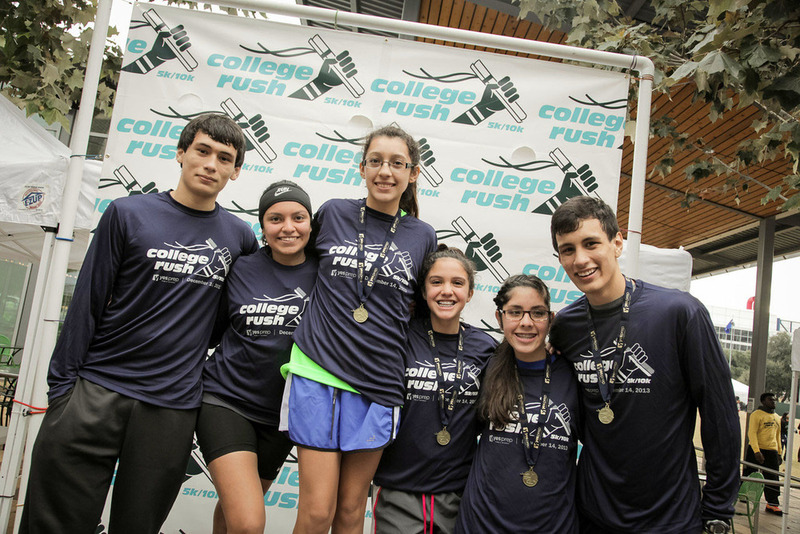 College Rush is an annual 5k/10k run benefiting YES Prep Public Schools. 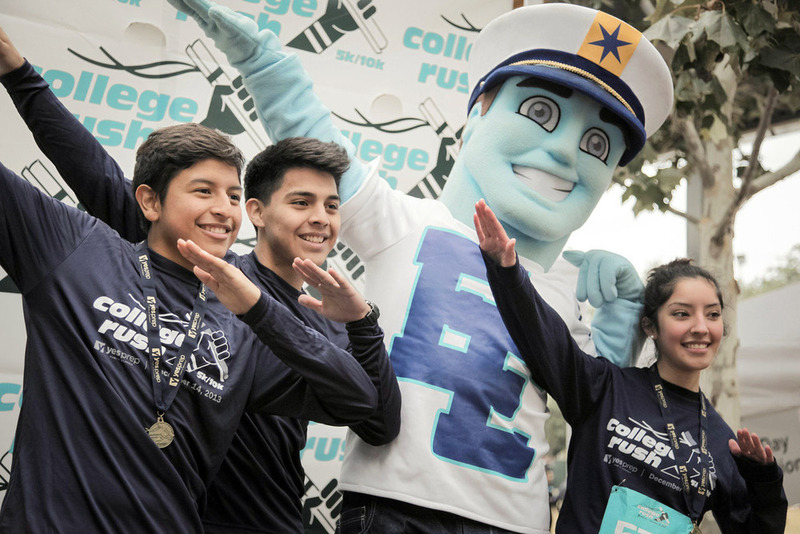 The logo design combines the concept of running and college graduation. 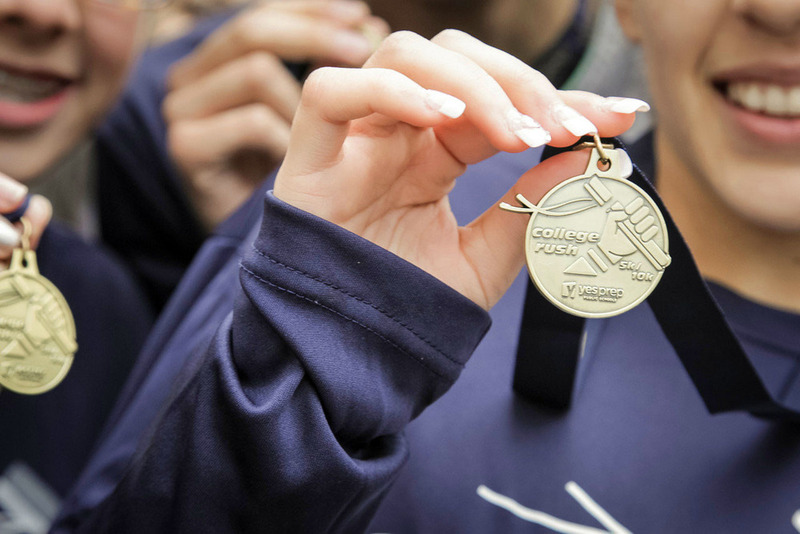 The identity mark was carried throughout the signage, runners' shirts, bibs, and finisher medals.